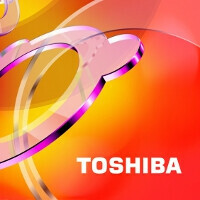 Not long ago we thought Toshiba was a prime candidate for the screen on the next iPhone, or the one after. Cupertino was even rumored to invest in a screen factory together with Toshiba. After all, the Japanese announced that at the SID expo this week the company will showcase one of its Low Temperature Poly-Silicon (LTPS) LCD displays, 4” in size and, get this, with 720x1280 pixels of resolution. The high-resolution screen sounds like a perfect candidate to go into high-end smartphones, since, besides the insane pixel count, it sports contrast ratio of 1500:1 (the iPhone 4's screen has been measured up to 1117:1), 92% color gamut (the iPhone 4 covers 64%) and viewing angles up to 176 degrees. However, the last rumor is that the factory plans with Toshiba were scrapped, and Apple is siding with Sharp for the production of the iPhone 6's display, which, coincidentally, also has an LTPS display production technology that allows for greater than 300ppi density, which is the threshold for a Retina Display moniker. Nevertheless, Toshiba's screen is a remarkable achievement and should give a boost to the competition, all in our favor as customers.